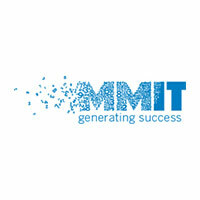 Vital Software and MMIT (www.mmit.com) today announce a global strategic partnership that will allow them to leverage their respective knowledge and technology portfolios to offer the automotive sector – OEMs as well as importers and individual dealers – the next generation of highly specialized CRM, Lead Management and Data Management solutions. Vital and MMIT now share a strong commitment and bring vast experience to the automotive industry for more than 20 brands in over 60 countries. Their alliance will allow them to benefit from each other’s local knowledge where their footprint does not overlap and speed up time-to-market. Customers will enjoy the compelling suite of services that reflects the depth of experience both Vital and MMIT bring to the table. Where MMIT’s expertise lies in rapid integration of multiple company-owned and public data sources in over 30 languages, Vital Software’s focus includes DMS Integration, Marketing, Sales and After Sales Data Integration. The companies combined have an unparalleled understanding of the automotive industry. “We’re thrilled to have found a likeminded company in Vital, a company that understands we like to work with our customers in a goal-oriented, collaborative way. Together we can help our clients improve their business even faster,” says Wiebe Mokken, CEO and founder of MMIT.